Today's image shows the elevated trains running in front of Ralph Walker's 1930 Western Union Building on West Broadway. 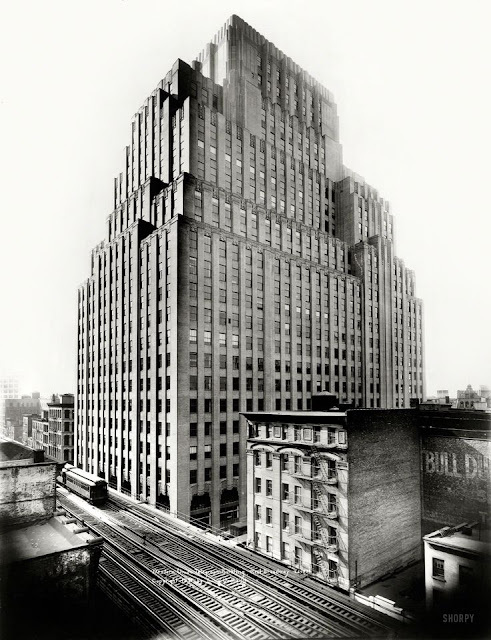 The building, which was the telegraph company's headquarters until 1973, is just one of the many marvelous places we'll be visiting on our walking tour this Sunday, December 13, at Noon that explores the history of West Broadway. We still have a few spaces available. 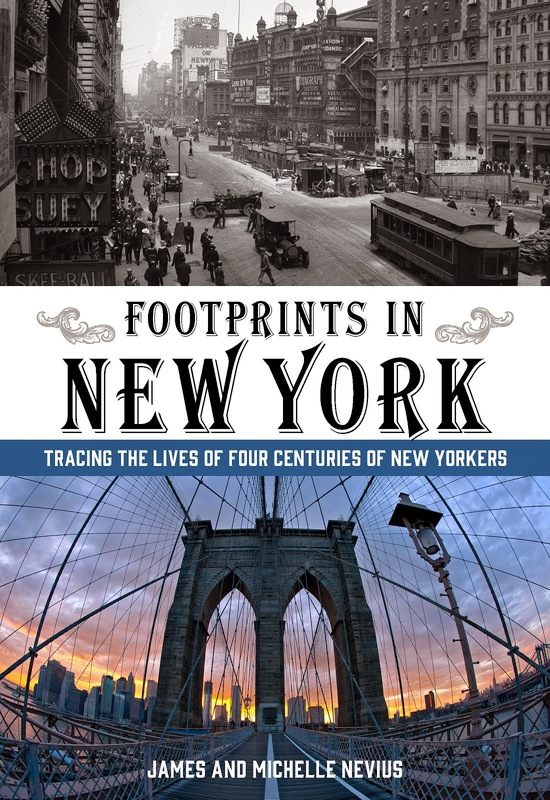 The tours lasts about 2 hours and costs $15 per person.... or pay $25 and get a copy of Footprints in New York included in your ticket price. How many are paying $15 (tour only) and how many are paying $25 (tour plus book). A cell number where we can reach you on the day of the tour in case of complications.The meeting place for the tour will be in your confirmation. Please note: we try to send email confirmations within 24 hours. Postcard Thursday: Central Park "Improvements"